Washington Heights, NY alternative collective Tribe Society – expertly comprised ofGavin Merlot (vocals/guitar), Seth Hachen (flute/keyboard), Brad Alderman (keyboard) and Phil Boucher (drums) – recently released their 27 mixtape. 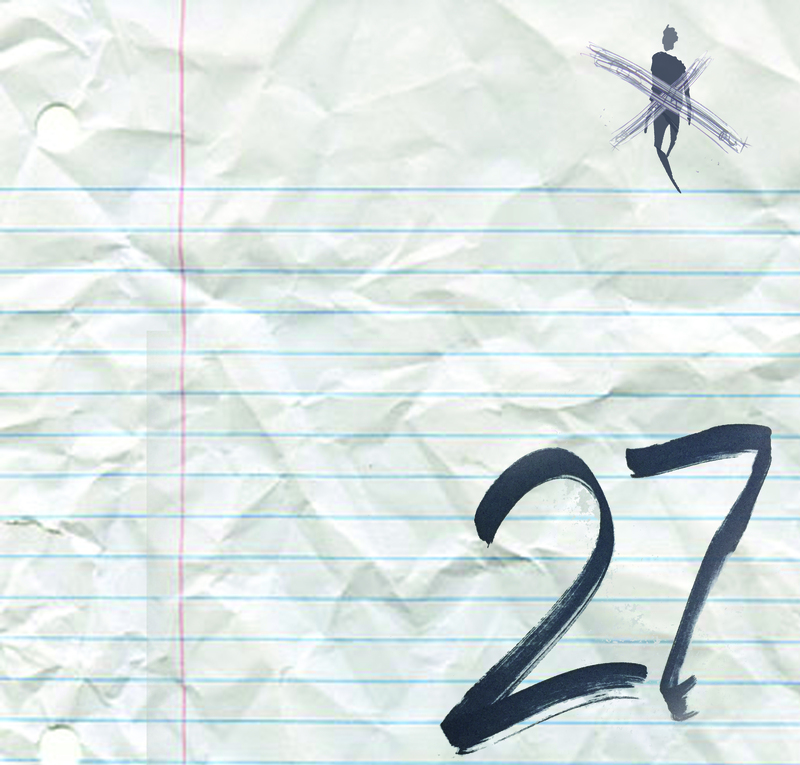 Created to celebrate well known artists who are, unfortunately, a part of the official “27 Club“, the mixtape is made up of seven integral tracks by the likes of Jimi Hendrix, Amy Winehouse, The Doors, Canned Hear, Fat Pat, Janis Joplin, and Nirvana. Seeing as our Editor in Chief just turned 27, we’ve recently taken a vested interest in many of these artists, and are beyond thrilled that someone else has brought attention to these immaculate endeavors in their own beautiful way. Check out the mixtape in full below, followed by a quick interview with the guys of Tribe Society. First of all, what’s the official origin story of Tribe Society? We birthed out of the love for all of our favorite rock bands and urban artists. We formed with a mission to blend as many genres as possible but still keep ourselves in the alternative world. We know your 27 mixtape was released in honor of the incredible Cobain. How long did you have it in the works? Where did the idea stem from, or is there a story about a specific moment you chose to run with it? Do any of you have any personal anecdotes associated with memories of these artists’ music? GAVIN: I remember being very young, so young that the memory is foggy. My older brother brought home Nirvana’s Nevermind on CD and my mother took one look at the cover art and said “I don’t know about this” Knowing that this disc probably wouldn’t live long I snuck upstairs where my brother had put the CD on for the first time and pressed my ear to the door. I had never heard anything like it…everything sounded HUGE and Kurt’s voice was unmistakable. I connected with it way more than anything I’d heard in my short life up to that point. Do you remember what you were doing when Kurt Cobain passed away? What made you choose the songs you chose, specifically? We deliberately chose songs that we could recreate in a creative way. We really wanted to feature the flute. I think “Heart-Shaped Box” is a really good example of that. What do you hope people get from this compilation? Would hope that some of our fans can discover some of these classic songs reimagined in our sound. Trying to make rent! haha. 27 is out now. We Sell Drugs is also available now. Keep up with Tribe Society here.